"' Twas in the moon of wintertime when all the birds had fled ..."
So begins Canada's most beautiful Christmas carol. Its writer, Jean de Brebeuf (1593-1649), was a Jesuit missionary who lived and worked among the Huron People for twenty-two years. Although Father de Brebeuf was killed during an Iroquois raid, the carol was kept alive in the Huron language for over one hundred years before it was translated into French. The English words were written in 1926 by J.E. Middleton. 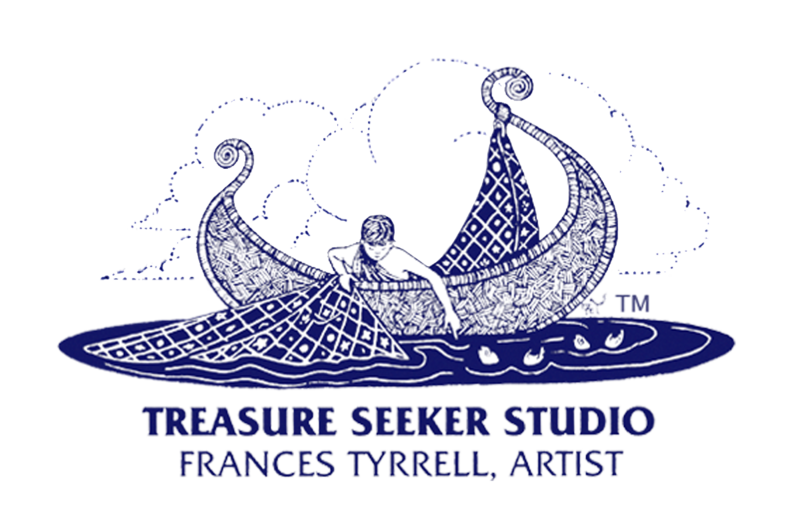 A 32-page picture book, illustrated by Frances Tyrrell. Each year at Christmas the beautiful melody and memorable lyrics of The Huron Carol sound in churches of all denominations around the world. "The Huron Carol" was created by Jean de Brebeuf, missionary to the Huron nation, some three hundred and fifty years ago. In it he described the Nativity in terms relevant to the native peoples. Thus, the three kings from the east bringing costly gifts were replaced by "Chiefs from far" with with gifts of fox and beaver pelt. The Bethlehem shepherds became "wondering hunters" and the humble Bethlehem stable "a lodge of broken bark". The essential message - of the miracle and promise of new life and new hope in the midst of dark and bitter winter - was very acceptable to the Huron people, and is one we can all share to-day. It was so accepable that, even after Jean de Brebeuf's death at the hands of the rival Iroquois, the destruction of the Ste. Marie settlement, and the dispersal of the remaining Huron people, they still celebrated the nativity each winter and kept the carol alive through the oral tradition. It was translated into French about one hundred years later, and into English in 1926. It was a privilege to illustrate this carol, a historic meeting of two cultures. Frances undertook to make the book as accurate as possible, and with luminous beauty has recreated the Huron clothing and the tender figures of the mother and child. The chiefs who came from afar are represented by the Sioux from the Plains, the Kootenay from the Pacific coast, and the Woodland Shawnee. This richly illustrated 32 page book includes the music for The Huron Carol, one verse in the old Huron language and two verses from the eighteenth century French translation. Although the book is currently out of print, Huron Carol cards are still available to purchase on Etsy. In 1990 The Grand Chief of the Huron-Wendate Nation, Max Gros-Louis, wrote, "To-day there are over 2,000 people living on our reserve at the heart of Quebec City. This nation is a dynamic one. We operate schools, a bank, a radio station, and our own justice system. We are pleased that this book tells a part of our common history." It was my great honor to illustrate The Huron Carol, which has been passed down from generation to generation in Canada and abroad. My mother, in her war-time childhood, learned the Huron Carol from a Sunday School teacher who had lived in Canada and who taught it to her students in a much bombed suburb of London, England. Forty years later, in Canada, my mother asked me to create a Huron Carol Christmas card. The finished picture, a detailed pen and ink rendering of the "Chiefs from Far", was the first of four Huron Carol cards that were eventually sold nationwide. One of the cards found its way to a children's book editor in Toronto, who reached out and asked if I would create a 32 page book. The types of illuminated books that would have been available to Father Brebeuf were my guide for combining text and illustration. As I began the layout and sketches a well qualified anthropologist friend, herself researching First Nations genealogies, supplied me with the historical and cultural information I needed to provide an authentic background to the pictures. I visited Ste. Marie among the Huron, the recreated Huron Mission at Midland, Ontario. Reading historian Bruce Trigger on the Huron, Algonquin and Iroquois, I was touched by their gentleness and respect towards their children and their peaceful lives within their own communities. The compositions and sketches took shape and the detailed work of painting began. I think every painting was completed in the small hours of the morning, the magic hours for many creative people.The faces of the chiefs, the mother and children were most moving to construct and complete. I had the responsibility to be true to type, without stereotype, and to show ordinary human beings at their best, encountering the divine. This carol was created for children and so was the book, but adults who have kept their childhood visions will enjoy the deeper symbolism that is in the pictures. "The Huron Carol" is about North America's first people and culture, but it is also about the nativity. "He pitched His dwelling among us." In both respects it is a story to be told with dignity and joy.